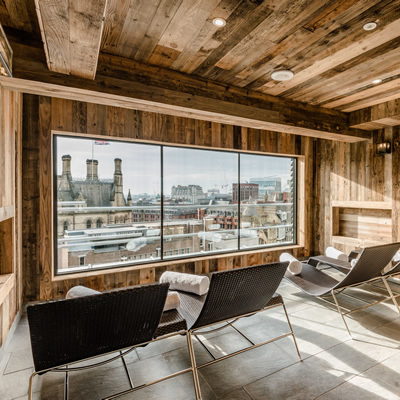 King Street Townhouse is a hotel that can be found located in Manchester’s city centre. 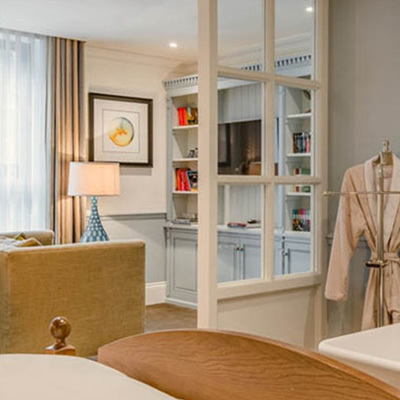 it’s part of the Eclectic Hotels Group, King Street Townhouse promises a lot, and thankfully delivers to a high standard. We have visited this hotel previously, so were excited to return to see if they’d managed to retain those high standards, and thankfully they very much have. The building the hotel resides in is a former bank, which has been lovingly restored and modernised, making it extremely impressive and wonderfully easy on the eye. Somehow, they have managed to retain a lot of the building’s original charm, whilst bringing it up-to-date. We fell in love with the wealth of history and character that is displayed throughout the hotel when we first visited, and fell in love with it all over again during this stay. When we arrived, we were greeted as if old friends by the porter, who relived us of our luggage as we walked through to reception to check-in. This was handled in a friendly and efficient manner, and we were soon on our way to our Master Suite. The Master Suite was impressive in size and boasted a free-standing bath at the foot of the bed, which was an impressive focal point. The suite offered a separate lounge area complete with stunning floor to ceiling windows, as well as the usual amenities including a coffee machine and mini bar. In terms of facilities, the hotel has a great in-house restaurant on the ground floor - the King Street Tavern, where breakfast, lunch, afternoon tea and dinner are served. And on the 6th floor, you will find a great terrace which is the perfect spot for a pre-dinner aperitif. The hotel also offers a good gym for those looking to keep fit during their stay. 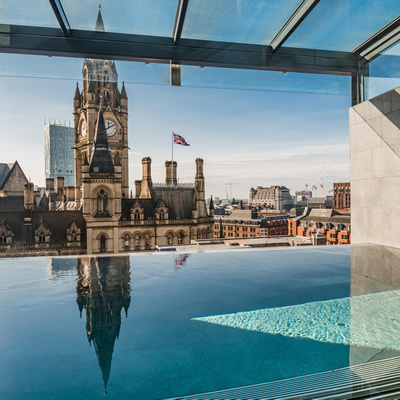 There’s also an impressive infinity pool on the 6th floor where you can go to have a dip and take in the Manchester skyline, this was a favourite spot for us and it’s very easy to relax away the afternoon. 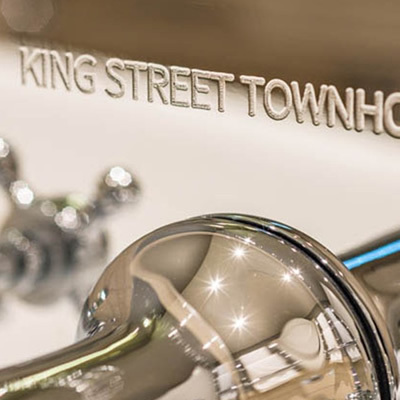 Overall, we had a superb break at King Street Townhouse, and are very pleased that it has retained its overall charm and high level of service. We can’t recommend this hotel highly enough as an impressive place to stay and make the most of exploring the sights of Manchester. Its enviable location means you’ll be very well placed to take in the city as much or as little as you like, if you can tear yourself away from the hotel, we cannot wait to return to this beautiful hotel.